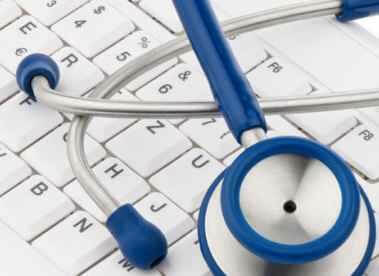 By studying healthcare administration, you will gain knowledge from a wide range of disciplines. You can increase your expertise in any given area by earning a minor in that field of study. You'll take fifteen to twenty-one credits in a specific discipline, deepening your understanding of the material and demonstrating to employers that you have studied the area more extensively than other graduates. You may be able to use two or three classes from your healthcare administration degree to fulfill requirements for the minor, or you can use the minor courses as electives towards your major. If you choose your minor wisely, you will enhance your educational experience and improve your future employment prospects. Business and healthcare administration go hand-in-hand. Many healthcare administration degree programs recommend business minors as a complement to studies in healthcare administration, and it's easy to see why. Any minor offered by a School of Business, including human resources, finance or general business, will make you a better manager. You'll hone your understanding of budgeting, managing personnel and following legal guidelines. As a healthcare administrator, you will need all of these skills. . Employers looking for a manager who can follow corporate guidelines, inspire employees and keep a department under a budget will turn to healthcare administers with business training. On the other hand, you can use your minor to buff up your people skills. If your area has a large number of immigrants, check if your university offers a culturally related minor. For example, many Texan universities offer courses in Latino Studies. You can also pursue a more general major in Anthropology or Psychology to learn how to work with diverse populations. Some schools may even offer health-focused versions of these minors, such as coursework in Medical Humanities. A culturally focused minor will show future employers that you can work effectively with clinicians and patients from any background. If you have no background in natural sciences, consider rounding out your knowledge base with a minor in the natural sciences. Studying Chemistry, Biology or Health Sciences will help you communicate with clinicians in your day-to-day life. You need to learn basic anatomical and scientific vocabulary, and a science minor will teach you these terms. Don't be afraid to branch out. Many universities offer courses designed for students with no background in the hard sciences. You don't need to take the most advanced classes available; instead, focus on gaining basic scientific literacy. Your career as a healthcare administrator will require a broad skill set. You can use your time pursuing your degree to refine these skills, explore your own interests and take courses outside of the healthcare administrator field. Increasing your business, interpersonal or scientific knowledge will make you a more well-rounded person and a more attractive employee. You will only need a few extra courses to earn a minor, so why not get started this semester?